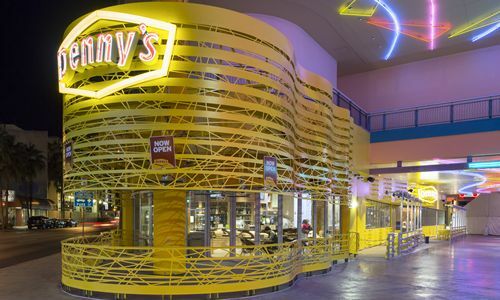 Denny’s has just opened a new flagship location in Las Vegas– replete with wedding chapel. And to make one’s special day even more special, “America’s Diner” is offering a special wedding menu, topped by “The King Stack” (“King” as in Elvis): bacon, peanut butter and bananas between two slices of French toast finished off with a bacon vodka chaser. As Denny’s spokesperson Frances Allen observed, “a normal Denny’s is not going to cut it in Vegas.” Indeed, this newest outlet is located in the quickly-redeveloping Old Downtown district, where it’s neighbors include a zip line that carries visitors above street-level traffic, a restaurant that holds a Guinness Record for the highest-calorie burger, and what is being billed as the world’s largest gay nightclub. 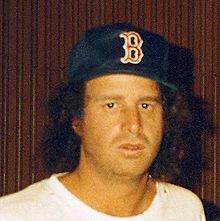 As we decide that it’s not so important to wear white after all, we might send lethargic birthday greetings to Steven Alexander Wright; he was born on this date in 1955. An Academy Award winning comedian, actor, and writer, Wright is the king of the deadpan paraprosdokian.